Coventry is set to be transformed into the largest 'Gigabit City' in the UK. 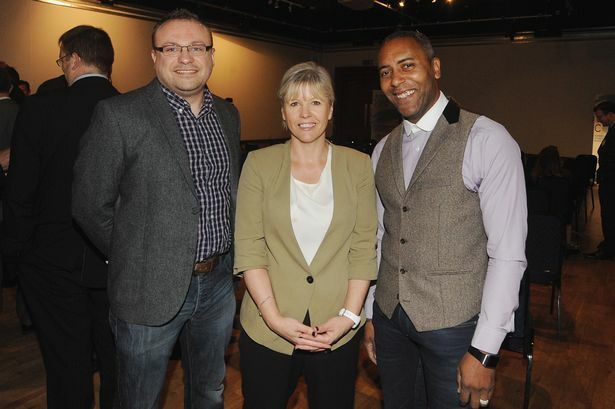 Jason Dickens, Jade Studio; Liz Cooper, Ricoh Arena; Andy Dillon, Verilan. Coventry is set to be transformed into the largest ‘Gigabit City’ in the UK as part of a major new agreement to give businesses access to some of the fastest communications in the world. CityFibre – a builder of ultra-fast pure fibre infrastructure in the UK – has signed a strategic partnership agreement with Coventry City Council to acquire, upgrade and extend its fibre network and make it available to city-based businesses. Businesses connecting to this new ‘Coventry CORE’ network will have access to next-generation broadband capable of gigabit speeds (1000 megabits per second), 100 times faster than the UK average and on a par with the world’s fastest cities such as Hong Kong. The initiative was launched at the city’s Herbert Art Gallery and Museum.